My mission is to create powerful visuals that raise awareness and inspire hope. 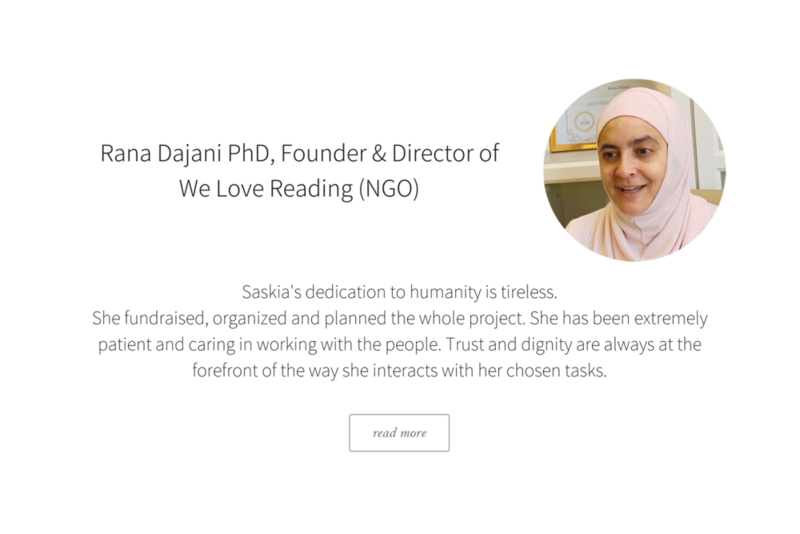 Saskia partners with humanitarian organizations to share their valuable work with the world, including Leaders' Quest (India), The END Fund / Amani Global Works (Democratic Republic of the Congo) Roots and Taghyeer (West Bank) and We Love Reading (Jordan). 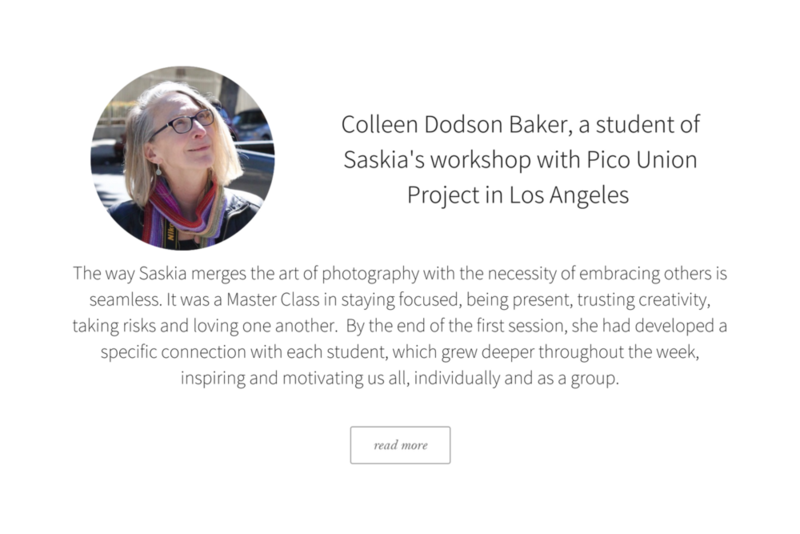 Saskia has presented her work at universities like Yale, Duke, Tufts, and UCLA. Her work has been on exhibit at Geneva’s Centre Des Arts, UCLA Hillel, and the B’nai Jeshurun Synagogue in New York City. 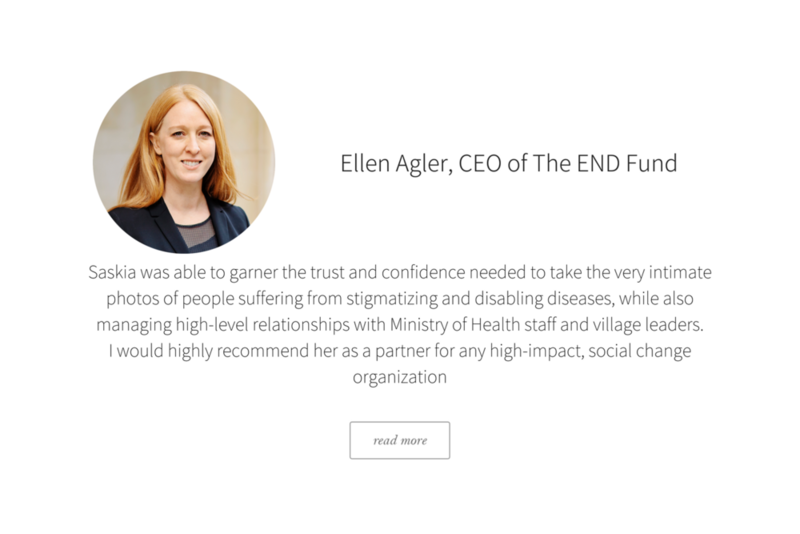 She has been published in the Fletcher Forum of World Affairs, UCLA’s The Daily Bruin, Women Across Frontiers, and corporate annual reports like UBS and the END Fund. 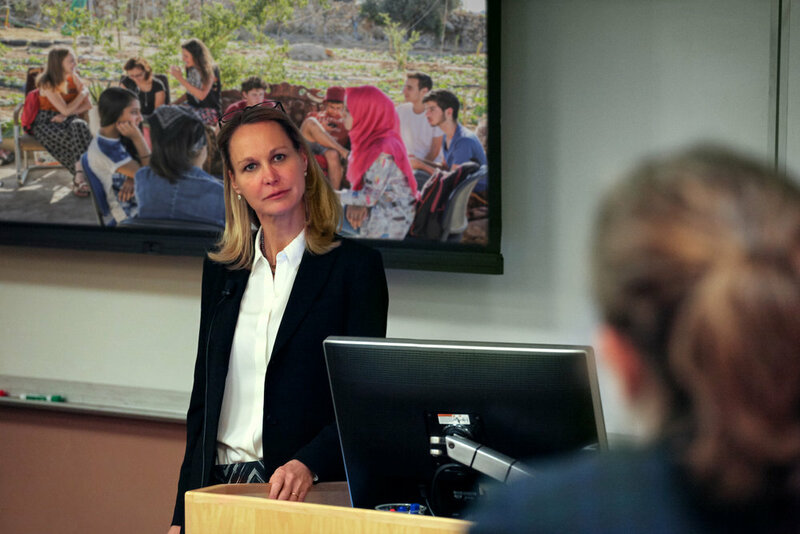 A chapter on her workshops will be published in a book titled: “Intercultural and Interfaith Dialogues for Global Peacebuilding and Stability” IGI Global (late 2018 / early 2019). Saskia Bory Keeley is a Swiss photographer, educated at Geneva University, Sotheby’s and the New Academy for Art Studies in London. She trained at the International Center for Photography in New York City, and is enrolled in the Interspiritual Counseling Program (ISC), a 3-year training at the leading edge of the newly emergent field of Interspiritual counseling (One Spirit Learning Alliance - NYC). Saskia has traveled extensively throughout Europe, Asia, Latin America and Africa. She is fluent in French and Dutch, and conversational in Spanish and German. Her passion for global adventure has enriched her appreciation for and understanding of disparate cultures. 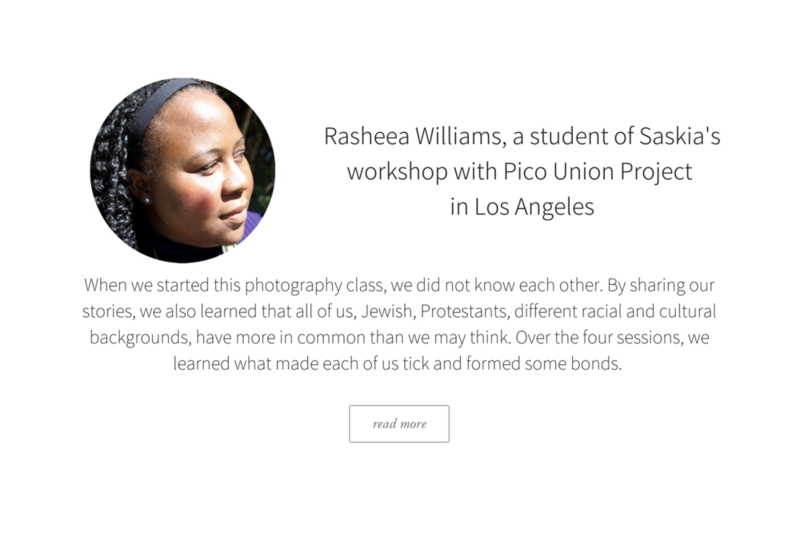 Saskia's book, "Through the Lens of Humanity" documents the lives of Israeli settler women and Palestinian women who live in the West Bank, within arms reach of each other, across cultural and physical barriers that isolate them. 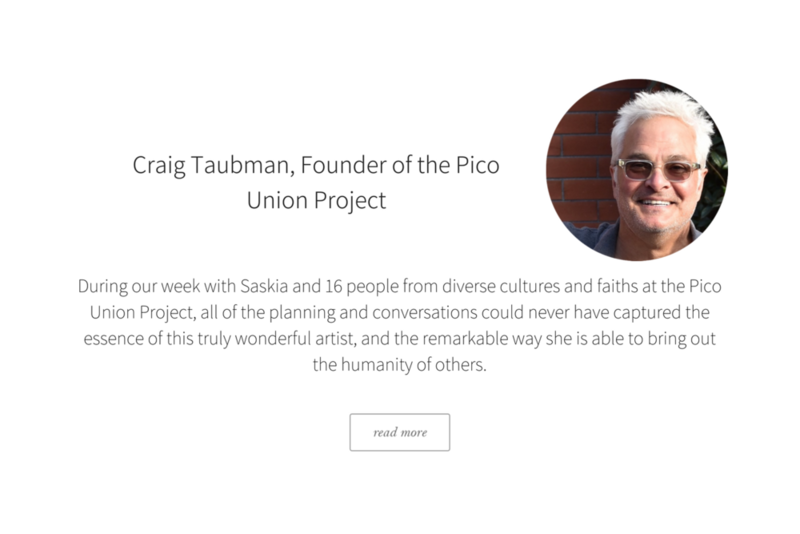 Saskia's work brings her into the lives and the homes of both societies. She shares her story in pictures and words in this book.